Every sincere effort is registered in the divine consciousness. Your duty as a devotee is to accept whatever [God] sends you — and, for that matter, whatever He doesn’t send. God alone knows what past karma keeps you from perceiving Him right now. He may want you to finish up your karma in this life, before He gives you eternal bliss in Him. Do not be anxious if you don’t have meditative experiences. The path to God is not a circus! Don’t even be anxious about such fruits of meditation as inner joy and peace. Everything will come in God’s time. Meanwhile, consider meditation, too, as a form of karma yoga: action without desire for the fruits of action. Meditate above all to please God, not yourself. In meditation, you must go beyond thought. As long as you are busy thinking, you are in your rational mind, on the conscious plane. When you sleep and dream, you are on the subconscious plane, and in your astral body. And when your mind is fully withdrawn in superconsciousness, it becomes centered in the bliss of the spine. You are then in your ideational, or causal, body. That is the level of the soul’s existence. Don’t waste the perception of God’s presence, acquired in meditation, by useless chatting. Idle words are like bullets: they riddle the milk pail of peace. In devoting time unnecessarily to conversation and exuberant laughter, you’ll find you have nothing left inside. Fill the pail of your consciousness with the milk of meditative peace, then keep it filled. Joking is false happiness. Too much laughter riddles the mind and lets the peace in the bucket flow out, wasting it. Meditate regularly, and you will find a joy inside that is real. You will then have something you can compare to sense pleasures. That comparison will automatically make you want to forsake your sorrow-producing bad habits. The best way to overcome temptation is to have something more fulfilling to compare it with. Never count your faults. Just think whether you love God enough. He doesn’t mind your faults. He minds your indifference. Many people meditate till they feel a touch of peace, but jump up then and leave their meditation for their activities. 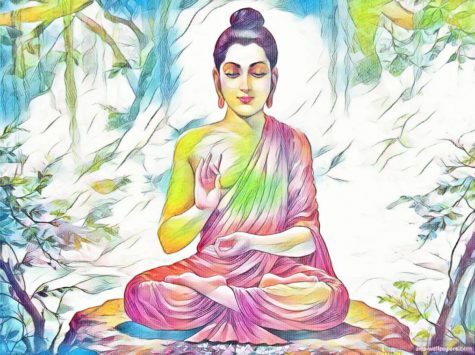 That’s all right, if you have important work waiting for you, for it is always better to meditate before any activity, that you may feel at least some peace as you work. Whenever possible, however, sit for a long time after your practice of the techniques. That is when the deepest enjoyment comes. Intuition is developed by continuously deepening that enjoyment, and, later on, by holding on to its calm aftereffect. God answers all prayers. Restless prayers, however, He answers only a little bit. If you offer to others something that isn’t yours to give, won’t that be a merely empty gesture? If you pray to God, similarly, but lack control over your own thoughts, that prayer will be without power. Thoughts and feelings, both, must be focused when you pray. Otherwise God will meet your little trickle with another trickle of His own! He will dole His answers out to you in a teaspoon. Too often, prayer is more like the halfhearted mumbling of a beggar than the confident, loving demand of a friend. You won’t find God by making constant excuses: for example, saying, “When I find a quiet place, I will meditate.” That is not at all the way to get there! 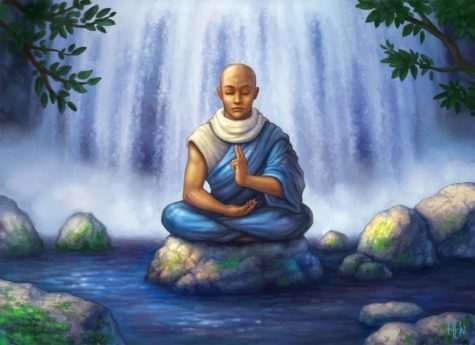 If you tell yourself, however, “Right now I will plunge into deep meditation!” you can be there in a moment. When you are really sleepy, you have no difficulty in sleeping no matter where you are. When a person is in love, he finds no difficulty in thinking of his beloved; rather, it is difficult not to think of her, even to the point of ignoring his work. Be in love with God! It is easy to meditate deeply, when your love for Him is deep enough. When people start to meditate or to work with any kind of spiritual discipline, they often think that somehow they’re going to improve, which is a sort of subtle aggression against who they really are. But loving-kindness–maitri–toward ourselves doesn’t mean getting rid of anything. Maitri means that we can still be crazy after all these years. We can still be angry after all these years. We can still be timid or jealous or full of feelings of unworthiness. The point is not to try to throw ourselves away and become something better. It’s about befriending who we are already. The ground of practice is you or me or whoever we are right now, just as we are. That’s the ground, that’s what we study, that’s what we come to know with tremendous curiosity and interest. The term mantra should be familiar to most readers. It is usually associated with sounds or words that when spoken or sung, evoke a particular magical power or energy. Two of the best-known mantras are AUM or Om, The term mantra is derived from the sanskrit root “man”, which means, ‘to think’. Thus the uttered sound is merely an aid to the focusing and direction of thought, and initiates of Tantrika regard the different types of mantra as vehicles for articulating spiritual energy as sound. 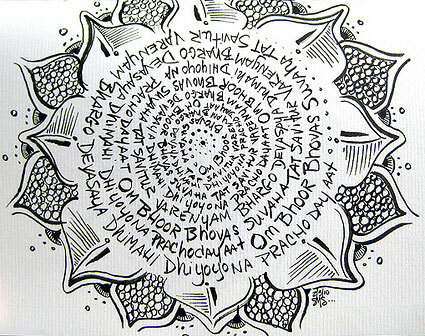 For example, there are ‘seed’ mantras such as Hrim, Krim and Srim. which represents the quintessence of the power of particular deities; there are also mantras which are based on texts, and have symbolic, rather than literal meanings, and, as in most cultures, spells and mnemonic formula. In tantrik ritual, or Puja, the seed mantras are pronounced from the diaphragm, the throat, rolled around the tongue and finally closed off with the nasal sound “m”. 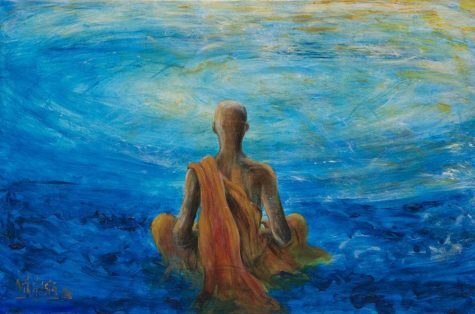 Mantras may be uttered ‘in silence’, as it were, and be none the less effective. In techniques such as japas (recitation), the practitioner repeats a sound or phrase repeatedly, moving eventually from spoken speech to ‘silent’ speech. The original words may degenerate into a meaningless mush, but again, it is the rhythm which whirls the practitioner’s brain towards ecstasy – recognisable by the perception that it is no longer you who chants, but that the chant chants itself through you. Again, don’t take my word for it, have a go yourself. You don’t have to use a phrase which necessarily has any ‘mystical’ significance – it’s the rhythm and momentum that’s important – try it with ‘My Mum’s Monkey Makes Many Mistakes’ for about half an hour a day for a few weeks, and see where it takes you. Here is a simple tutorial and a simple mantra for a meditation technique. It is very similar to the Transcendental Meditation technique, and if you have a different mantra that you’d like to use, feel free to do so. The instruction is from the book Deep Meditation by Yogani. The book is a quick and easy read, a slim 100-page book in pretty big type-and at a little under ten bucks, it’s also a bargain. And while I recommend you buy a copy, I thought I’d provide ten key points from the book which are listed below. 1. For most people, twenty minutes is the best duration for a meditation session. It is done twice per day, once before the morning meal and the day’s activity, and then again before the evening meal and the evening’s activity. 2. A word on how to sit for meditation: The first priority is comfort. It is not desirable to sit in a way that distracts us from the easy procedure of meditation. 3. For our practice of deep meditation, we will use the thought I AM. This will be our mantra. We can also spell it AYAM. 4. While sitting comfortable with eyes closed, we’ll just relax. We will notice thoughts, stream of thoughts. That is fine. We just let them go without minding them. After about a minute, we gently introduce the mantra. 5. Whenever we realize we are not thinking the mantra inside any more, we come back to it easily. 6. As soon as we realize we are off into a stream of thoughts, no matter how mundane or profound, we just easily go back to the mantra. Like that. We don’t make a struggle of it. The idea is not that we have to be on the mantra all the time. 7. Thoughts are a normal part of the deep meditation process. We just ease back to the mantra again. We favor it. Deep meditation is going toward, not pushing away from. 8. No struggle. No fuss. No iron willpower or mental heroics are necessary for this practice. All such efforts are away from the simplicity of deep meditation and will reduce its effectiveness. 9. When we realize we have been off somewhere, we just ease back into the mantra again. We are reading it inward with our attention to progressively deeper levels of inner silence in the mind. 10. This cycle of thinking the mantra, losing it, and coming out into a stream of thoughts is a process of purification. It is very powerful, and will ultimately yield a constant experience of inner silence in our meditation and, more importantly, in our daily activity. 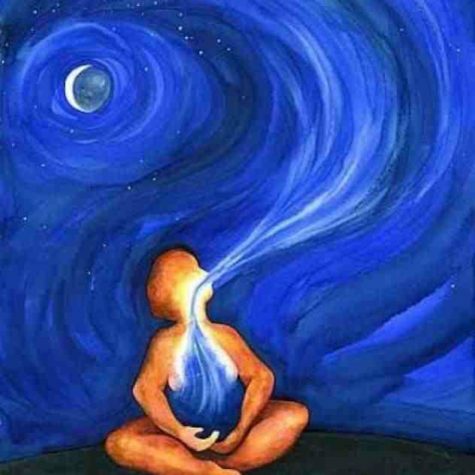 Breath is life and change, a basic connection between the inner and the outer. It is a flowing bridge between life and death. 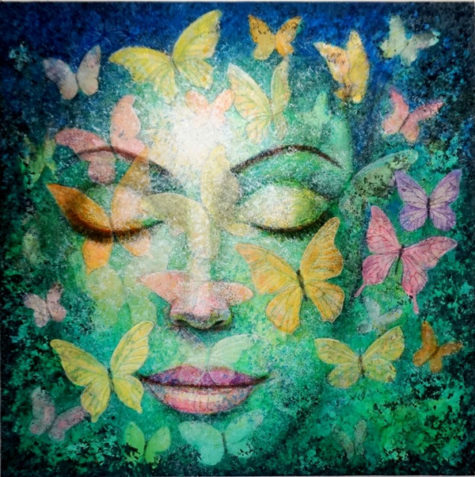 Every breath is rebirth, inspiration, a letting go of the old. Breathing is a constant source of energy, a continuous affirmation. Change your breathing and you will think differently, and this change can be created by choice because breathing is one of the few bodily functions that can be voluntary or automatic. Fix your concentration in the middle of the forehead. See a radiant jewel there. Watch and observe what happens as you inhale through your nose – pulling your diaphragm in, and exhale through your nose – pushing your diaphragm out. Repeat this process 6 or 10 times. 1. Sit on the forward third of a chair or a cushion on the floor. 2. Straighten and extend your spine, keeping it naturally upright, centering your balance in the lower abdomen. Push your lower back a little forward, open your chest, and tuck your chin in slightly, keeping the head upright, not leaning forward, or backwards, or to the side. Sway your body gently from left to right in decreasing arcs, until you naturally come to a point of stillness on your cushion. 3. Keep your eyes on the floor at a 45-degree angle, neither fully opened nor closed, and gaze naturally about 3 to 4 feet in front of your body. If the eyes are closed, you may want to start to daydream or visualize things. If your eyes are open wide open, your mind will scatter. 4. Keep your lips and teeth together with your tongue resting against the roof of your mouth. 5. Place your hands on your lap with the right palm up and your left hand (palm up) resting on your right hand, thumb tips lightly touching, forming a vertical oval. This is the mudra of zazen, in which all phenomena are unified. Rest this mudra with the blade of your hands against your abdomen, a few inches below the navel, harmonizing your own center of gravity with the mudra. 6. Take a deep breath, exhale fully, and then take another deep breath, exhaling fully. Let your breathe settle into its natural rhythm. 7. Keep your attention on your breath. When your attention wanders, bring it back to the breath again and again — as many times as necessary! 8.. Practice this Zen Meditation every day for at least ten to fifteen minutes (or longer). If you would like to be notified whenever new content is uploaded, you can subscribe via feedburner.